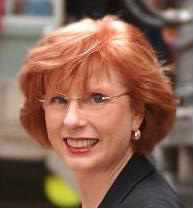 Fran Fisher is a Master Certified Coach (MCC), visionary leader, international speaker, and author. She is President of FJFisher Coaching and Consulting, providing coaching-related programs and services for individuals, small business owners, executives, and work teams. Recipiant: Lifetime Achievement Award ICF Washington State 2012. In 1991, Fran founded the Living Your Visionâ (LYV) a process for empowering individuals in transforming their visions into reality. She launched a Licensing Program for coaches to deliver LYV with their own clients. In 1997, Fran founded the Academy for Coach Training, and established the Living Your Vision process at the core of the curriculum. In 2005, Fran sold the ACT and LYV businesses and their associated trademarks to I & AM, LLC dba inciteCHANGE. Fran is Founder the FJFisher Youth Foundation, a non-profit organization dedicated to providing personal transformational programs for youth and community service coaching programs. Fran is recognized internationally as one of the pioneers and champions for coaching. She served as chair of the Credentialing Committee of the International Coach Federation (ICF) and she was the first Executive Director of the Association for Coach Training Organizations (ACTO). Before becoming a professional coach, Fran was highly successful in her career as a national real estate marketing director and Certified Property Manager (CPM). Realizing that she wanted more out of her life, she began developing a life vision that encompassed every area of her life. Working toward that vision, Fran enhanced and extended her intuitive and coaching skills by attending continuing education and personal growth courses. In 1998, she earned her Master Certified Coach designation from the International Coach Federation. Currently living in Bellevue, Washington, Fran is a contributing author to the Simon and Schuster bestseller Chocolate for a Woman’s Soul, and a contributing author to A Guide to Getting It, a Clear Compelling Vision and A Guide to Getting It, Passion and Purpose. In her leisure time, Fran enjoys her grandchildren, gardening, ballroom dancing, and long walks on ocean beaches.